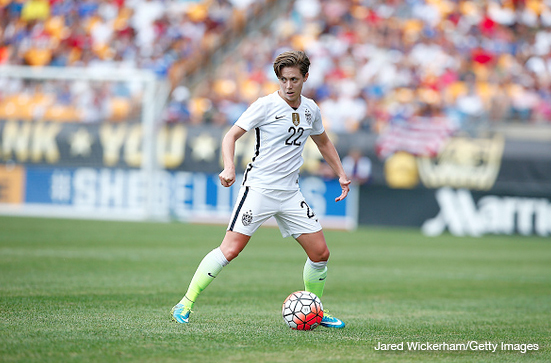 Women’s World Football Show catches up with U.S. Women’s National Team defender Meghan Klingenberg! And that’s no easy feat. As the USWNT continues on their post-Women’s World Cup celebrations, Kling takes a break to talk with us about her championship season. 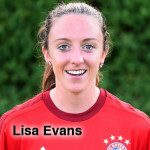 A veritable playmaker, the Pittsburgh native brings to life some of her more memorable moments on and off the pitch. From her game-saving header in the World Cup to her terrible towel-waving goal at Heinz Field, Kling tries to come up with words to describe living a lifetime of dreams. From her destiny to play at University of North Carolina to her unwavering determination to get back to the Olympics, Meghan Klingenberg takes us back through her past and gives us a glimpse of some of her goals for the future. 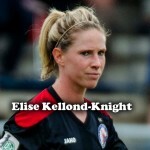 She also has a few things to say about her new team, Portland Thorns FC! As one of the more animated players in soccer today, Kling show’s us that its possible to play with fierce intensity and still have a lot of fun. Kling lives like she plays, with passion and enthusiasm, so if you have trouble keeping up, just rewind and listen again! Watch Kling’s goal-line save vs. Sweden in the 2015 Women’s World Cup. 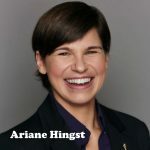 Our friend and correspondent from Germany, Jana Lange is back with us to talk all things Frauen Bundesliga. Who’s leading the league? Who is the surprise team of the season? And which players are making the biggest impact? Jana gives us a full report. Plus Adam and Jana preview the upcoming Germany vs. England friendly! Germany may be out for revenge, but England wants to prove they’re no fluke. Either way, prepare for some ultra-light trash talk. We’re getting ready for the 2015 NCAA Division l Women’s Soccer Championship finals. And to get us in the mood, AJ “Postgame Gator” Johnson visits with Ohio State University forward Nichelle Prince. 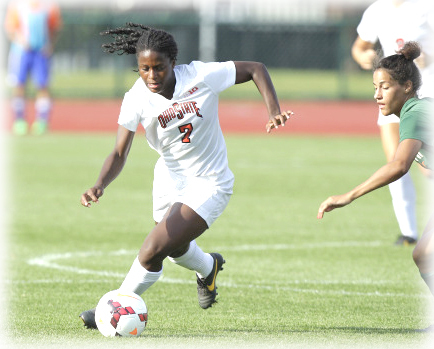 Not only is Nichelle a standout college player, she’s a current call-up for the Canada Women’s National Team. Here’s your chance to get to know one of the games future prospects a little bit better! Plus, it’s always great to hear from AJ! 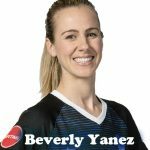 Westfield W-League player and team updates; NWSL transfers, trades and a 2016 College Draft update; Also, what’s up with Canada? And just who is Peggy Kuznik? Fade Out Music by Earth, Wind & Fire.